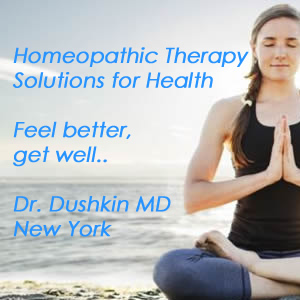 The goal of Homeopathic treatment is to bring the patient to a greater level of health and well-being. The stories below illustrate some of what's possible. It should be noted that with Homeopathic treatment each person is treated as an individual, not just a diagnosis. Therefore the name of the individual remedy used is not mentioned because it is specific to that the person discussed. Curt was a 4 year old boy who kept getting ear infections (otitis media). In the previous year he had gotten an infection, and been placed on antibiotics every 6-8 weeks. His doctor suggested to his mom that she have tubes placed in his ears, but she didn't want to do that. When I saw Curt, he had recently finished a course of antibiotics. He was a bright, energetic kid, even after all the antibiotics! One thing that was highly unusual about him, however, was his extreme sensitivity to cold weather. This was a problem since he and his family lived in the Albany, NY area – an area where the winters tend to be cold. Curt's cold sensitivity was so extreme that he was unwilling to go outside and play the way kids do – throw snowballs, go sledding, build snow people, etc. In Homeopathic evaluations a highly "unusual symptom" helps in choosing the correct Homeopathic medicine. Taking that into consideration along with his recurring ear infections, I selected a Homeopathic medicine for him. When I spoke to his mom about 3 weeks later, she told me he had "almost" gotten an ear infection. It seemed like one was starting, but it then cleared up. She was surprised since this had never happened before. When we spoke 5 weeks later, she was happy to report that Curt had not gotten an infection. I then asked about his willingness to go outside and play in the snow (it was winter time). His mom, hesitated, and then said she was actually surprised that he went out with his older sister to go sledding. Again, this was unusual – his willingness go play in the cold weather. Curt was now healthier and more balanced. He was not getting ear infections (over the next 6 months his mother reported no infections). In addition, his extreme cold temperature sensitivity had normalized, and he got to experience a more normal childhood! As a Homeopathic doctor, I get to see this type of healing/balancing quite frequently. It is deeply satisfying. Karen is a 48 year old physician who came to see me for her hot flashes which had started 6 months previously. She did not want to take the hormone therapy that was recommended to her by her gynecologist. Her flashes were mostly at night when she would get hot, sweat, and then get cold. Obviously her sleep was disturbed. She was also anxious and irritable with a lower than normal amount of energy for her. In addition, she was having trouble with her digestion, with a lot of gas and bloating. 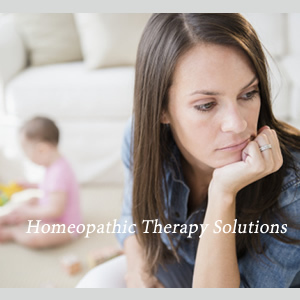 Within a few weeks of starting her Homeopathic treatment, her flashes had decreased significantly. Her energy was higher, and her moods were better, with less anxiety and irritability. She said she felt happier. Even her digestion was working better. Karen continued to improve even more over the next 6 months from her initial appointment. Click here to contact Dr. Dushkin today!